I was super nervous as Brianna and I headed over to Glistening Goddesses (which had been recommended by a bunch of people we know and is also the place where lots of famous RI'ers get their spray tan on #Wink) for our spray tan appointments today. Once we got there though, Cassandra was so nice that I actually started to relax. After we had filled out our paperwork, Brianna (the braver of the 2 of us) opted to go first. I waited in the seating area, checking in on FB and posting a pix to Instagram. #GottaStayConnected About 15 minutes later, she emerged from behind the curtains looking tan, not at all orange and glowing. 2. Skip the body lotions, creams, perfumes and makeup of any kind on the day of. Your skin needs to be completely bare for the spray to do it’s stuff properly. 4. 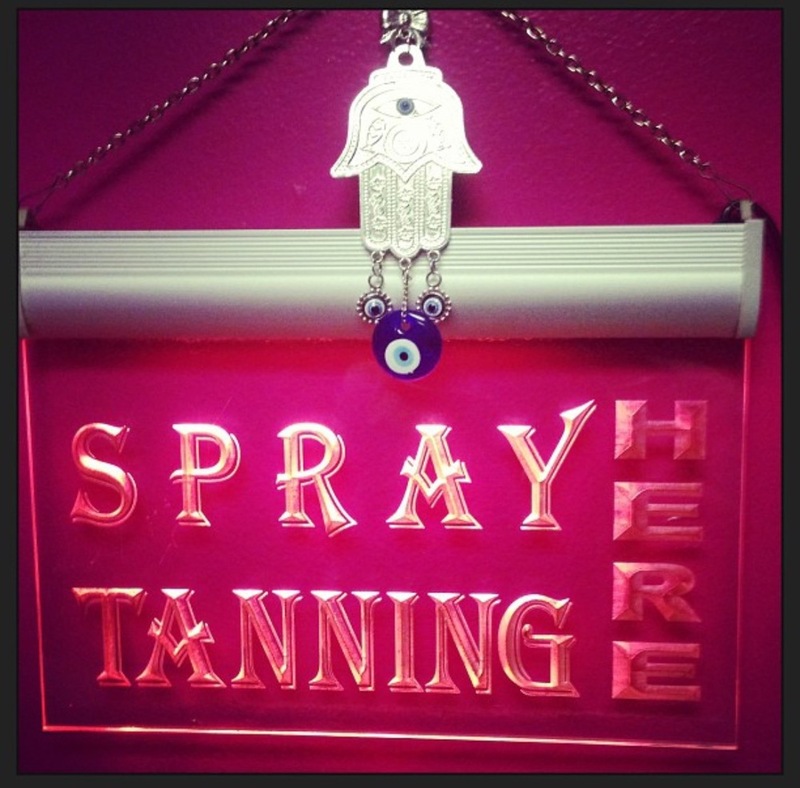 If possible, opt for the Express (Spray) Tan. It’s $10 more than the Original (priced at $25), but it only takes 2-6 hours to dry. The Original takes a full 10-12 hours and who wants to wait that long? To quote Ms. Sweet Brown, ain't nobody got time for that. PS - I was so happy with how my tan turned out that I went and bought myself a brand new pair of jorts. To eyeball their cool web site, click here. To stalk them on Instagram, click here. Photo Credits: Two interior photos of GG in North PVD courtesy of their IG account.